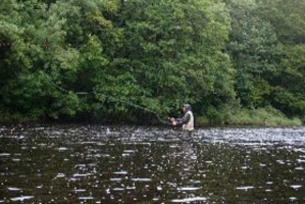 Celtic Angling is based near Adare in County Limerick. It is owned and run by Paddy Dunworth who is an angler with 35 years’ experience and an intimate knowledge of the fisheries and antiquities of this beautiful region. Celtic Angling offer fly casting tuition for beginners and improvers and also cater for Autumn and Winter pike fishing and salt water fishing. Paddy Dunworth specialises in trout, sea trout and salmon and can provide full and half day angling tours and tuition in a variety of locations and in a relaxed and friendly pace. He is a Marine and Countryside Guide with training in first aid, rescue and emergency first aid and VHF radio. He can also speak English, Gaelic, French and some German. The Adare, Limerick and Kerry areas are rich in game, coarse and sea angling, it offers a diverse choice of angling locations and Paddy will ensure you have the great advice and opportunity to have an enjoyable angling experience at a relaxed and friendly pace. This area is rich in folk-lore, steeped in history and dotted with heritage sites and antiquities. 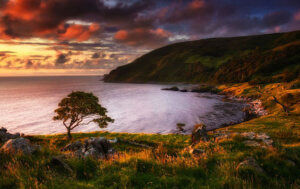 For the angler or non angling companion(s) Paddy also offers guided heritage and hill walking tours at a relaxed pace to such attractions as Adare, Lough Gur, Knockfierna or to the magical kingdom which is County Kerry.